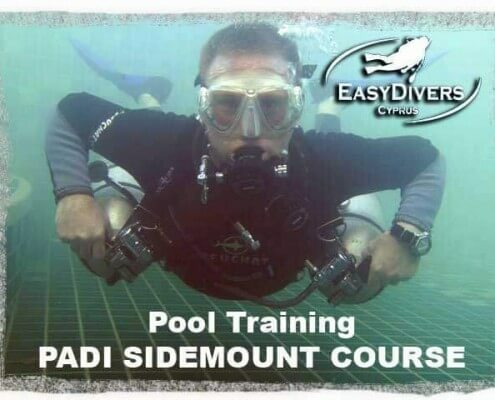 Who should take the padi sidemount course? Having scuba tanks on your back isn’t a requirement for exploring the underwater world. Many scuba divers have discovered the joy of mounting cylinders on their sides too. Sidemount diving gives you more flexibility and streamlining for underwater diving. You don’t have to walk with heavy cylinders on your back – just enter the water, clip them on and go. Interested? Contact Us for the PADI Sidemount Diver Specialty course with Easy Divers in Cyprus. Along with learning about the many benefits of diving for Sidemount configuration. You will make at least one confined water and three open water scuba dives. 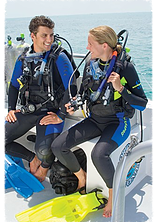 Each dive you will build your confidence in your new scuba equipment configuration. Trim your weight system and Sidemount gear so you’re perfectly balanced and streamlined in the water. Manage gas/air by switching second stage regulators as planned, if wearing two cylinders. If your considered technical diving, you may realise that technical divers always wear more than one tank. Taking the Sidemount diving course your will make you more comfortable in wearing extra tanks and you may consider the technical diving courses? Sidemount is an increasingly popular way to configure multiple cylinders for recreational dives and technical diving. When you take this course you can enter the world of tec diving with the Tec or Rec Sidemount Diver course. Apply what you learn on this course to other courses like the TecRec Courses. Your instructor may offer to integrate this course with the Tec 40 Tec 45 or Tec 50 technical diving courses at Easy Divers Cyprus. If you’re a Padi Open Water Diver you may take the Recreational Padi Sidemount Course. PADI Advanced Open Water Diver, at least 18 years old and have a minimum of 30 logged dives, you may qualify for a Tec Sidemount Diver course. It’s recommended that you also have a PADI Enriched Air Diver certification. Note: that qualifying certifications from other diver training organizations may apply – ask our Tec Deep Instructor. Scuba Gear: Special Sidemount Equipment, Extra regulators and dive cylinders. Watch, listen, read, scroll, tap and interact while you learn to scuba dive with PADI Open Water Diver Touch. It’s fun, it’s easy, it’s portable and it’s your entry to the underwater world as a scuba diver. For kids, we will strongly recommend for you to purchase the PADI Open Water Diver Touch program, which runs on either a iPad or Android tablet. The interactive program allows your kid to watch videos and answer questions, which means learning more interactive and fun for them. Once the theory portion is independently completed by your child, we will require him to make an arrangement to come in for a short theory class for us to evaluate his readiness for confined water training. 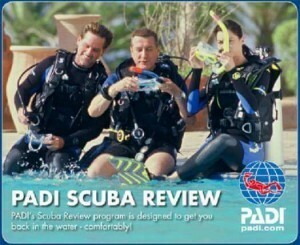 There will be an extra charge for PADI Open water Diver Touch program payable directly to PADI. 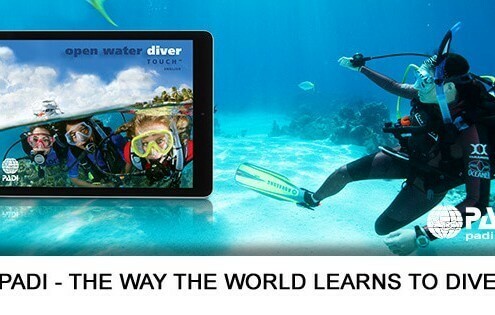 PADI Open Water Diver Touch – Whether you’ve always wanted to scuba dive, discover new adventures or simply see the wondrous world beneath the waves, you can start today with the PADI Open Water Diver Touch on your tablet. The iOS version is now and an Android version. Want to try it? Download the free PADI Library app for Apple or Android and experience the Touch introduction. Trying to decide which method of learning is best for your PADI Open Water Diver course? Learn more about the Touch or contact our PADI Dive Center to help you decide. Commercial divers solve complex tasks, often in deep waters. But what exactly do they do? Divers come in many shapes and sizes. Strictly speaking, we can divide them into four types: recreational, technical, professional and commercial divers. Recreational divers make up the majority of the group, and are typically trained to dive up to 130 feet with scuba gear. Technical divers can go beyond 130 feet, and will utilize other types of gear than scuba, such as rebreathers. Professional divers are divemasters, dive guides, dive instructors and course directors. These people guide or train the other two groups, and all three belong to an organization such as PADI, SSI or NAUI. Commercial divers, however, are in a completely different category. They dive not to train recreational divers, but to complete job-related tasks, and require specific job training in addition to dive training. This training typically takes place at schools that are dedicated to commercial diving, and which are organized under national boards for commercial diving. But what kind of work does can a commercial diver do? Four of the most typical careers for commercial divers follow. Construction divers work in harbors, on bridges, or in other situations where large-scale construction must be built or maintained in water. They also do underwater surveys, work on coastal protection. Many Commercial divers work on laying, inspecting and maintaining underwater cables and pipelines. Diving in these conditions requires commercial-dive training using both types of scuba units and surface-supported equipment, as well as training with a range of tools and techniques, such as welding. Divers can descend up to 200 meters/600 feet, which requires extended decompression times. Saturation diving, wherein divers spend great times at depth, is often used, as once their tissues have become fully saturated with nitrogen, their decompression time does not increase (unless they move to a greater depth). After their shift is done (and these can last 12 hours or more), divers are brought to the surface and decompressed in a chamber. 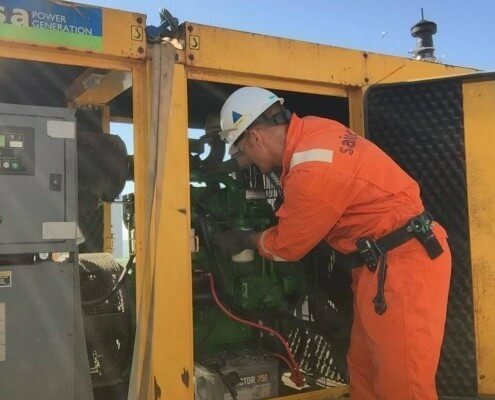 Offshore divers are usually associated with gas or oil platforms, and may work on the construction and maintenance of rigs, as well as the actual drilling process, where they may inspect the drill and make any repairs needed. They can also perform visual inspections of underwater equipment. These types of dives are usually done with surface-supported equipment, and may also be done as saturation dives for deeper projects. Offshore commercial diving is often cited as one of the most dangerous jobs in the world. HAZMAT is shorthand for HAZardous MATerials, and HAZMAT diving takes place where there is significant risk of exposure to pollutants that are hazardous to human health, which can be anything from raw sewage to radiation-contaminated waters. 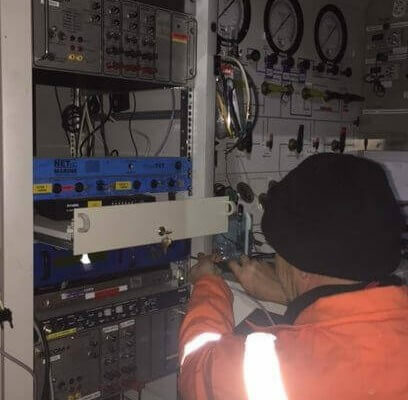 Tasks can include repairs to filters, valves, or other mechanical equipment, to surveying and sampling contaminated water. 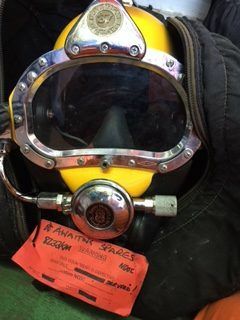 This form of diving, in addition to commercial-diving training, requires HAZMAT training and specialized equipment, including a HAZMAT drysuit, as many chemical pollutants can penetrate the material of traditional drysuits. Commercial divers also find their trade in salvaging. Salvage divers sometimes work independently, searching for wrecks, flotsam or jetsam, which they subsequently claim, salvage, and try to sell for a profit. Other salvage divers work as subcontractors to commercial shipping companies or governments, salvaging goods lost or, as in the case of the Costa Concordia cruise ship which ran aground in Italy, to salvage and remove a wreck that is deemed to pose a threat to the environment or a problem for ship routes. 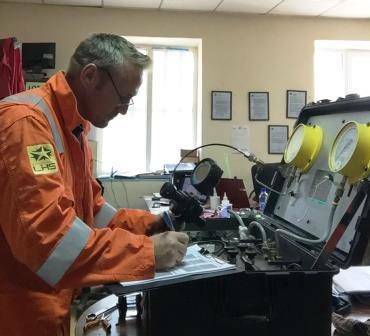 There are many other jobs that commercial divers might undertake, in particular within rescue services, the police and the armed forces, but the above are the main fields within the private sector. Ever thought about becoming a commercial diver? Share your story!